University of Cambridge ESOL Examinations offers a wide range of internationally recognised English language qualifications including specialised examinations in business English and English for young learners as well as certificates for language teachers. The Maple Leaf Language Services has seven years of experience in preparing Cambridge ESOL examinations and has achieved 100% pass results in each exam session. The Young Learners English Tests are designed to assess the English of learners between the ages of 7 and 12 in a funny way. The English language is a tool for international communication. Furthermore, companies ask future employees to have a good level of the language in order to apply for a job. The University of Cambridge offers a range of levels which officially prove the linguistic competence of a person. The Key English Test is the first level Cambridge ESOL exam, at level A2 of the Council of Europe’s Common European Framework of Reference for Languages. KET recognises the ability to cope with everyday written and spoken situations at a basic level. The Preliminary English Test is the second level Cambridge ESOL exam, at level B1 of the Council of Europe’s Common European Framework of Reference for Languages. If you can deal with everyday written and spoken situations (e.g. reading simple textbooks and articles, writing simple personal letters, making notes during a meeting), then this is the exam for you. The First Certificate in English is an intermediate level Cambridge ESOL exam, at level B2 of the Council of Europe’s Common European Framework of Reference for Languages. Choose FCE if your knowledge of English is adequate for many practical everyday purposes, including business and study. The Certificate in Advanced English is the second highest level Cambridge ESOL exam, at level C1 of the Council of Europe’s Common European Framework of Reference for Languages. Choose CAE if you are reaching a standard of English that is adequate for most purposes, including social and professional situations, and in higher education. The Certificate of Proficiency in English is the highest level Cambridge ESOL exam, at level C2 of the Council of Europe’s Common European Framework of Reference for Languages. If you are able to function effectively in almost any English-speaking context and are approaching a standard of English similar to that of an educated native speaker, then this is the exam for you. The Teaching Knowledge Test is an exam for teachers or future teachers of English as a foreign language. It evaluates the knowledge which a person has in order to give English lessons. It is possible to sit this exam either if you are an experienced English teacher or if you have not started your professional career yet. Module 1- Language and background to language learning and teaching. Module 2- Planning lessons and use of resources for language teaching. Module 3- Managing the teaching and learning process. It is an optional module of the TKT. It is very useful for those professionals who have to teach a subject such as Science or History in English or in any other foreign language. It is addressed either to teachers of specific subjects who have to use the English language in their class or to English teachers who have to teach curricular subjects in a foreign language. 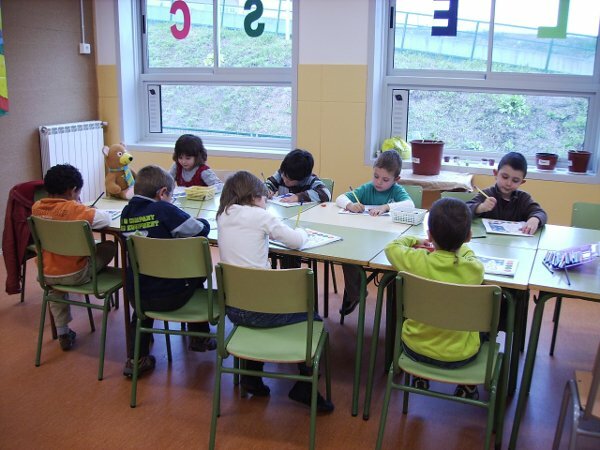 There is an increasing tendency of teaching curricular subjects in a non-native language in Catalonia. The CLIL module evaluates the candidate’s ability regarding givin lessons with no-linguistic content in a foreign language. There are no formal entry requirements. However, it is recommended to have a level equivalent to B1 (PET/IELTS) in the Common European Framework of Reference for Languages. Knowledge of CLIL and principles of CLIL (25 questions). It is the second optional module of the TKT. It evaluates the linguistic ability of teachers of English as a foreign language. The objective of the module is to check the candidate’s ability to teach English as well as to give solutions to those difficulties that may arise when learning a foreign language. During the exam a template is given to the candidate for lesson planning purposes, which is also evaluated. It is recommended to have a level of English equivalent to Level B1 of the Council of Europe’s Common European Framework of Reference for Languages. TKT: YL is a new speacialist module which focuses on those students who are aged 6-12. The module evaluates the necessary concepts that are need in order to teach young learners, as well as the candidate’s ability to prepare and teach a lesson and to assess students.The test consists on four parts and a total of 80 questions that have to be completed in one hour and twenty minutes, like modules 1, 2, 3, CLIL and KAL. It is suitable for those teachers who are already teaching YL or who will teach this age group in the future.